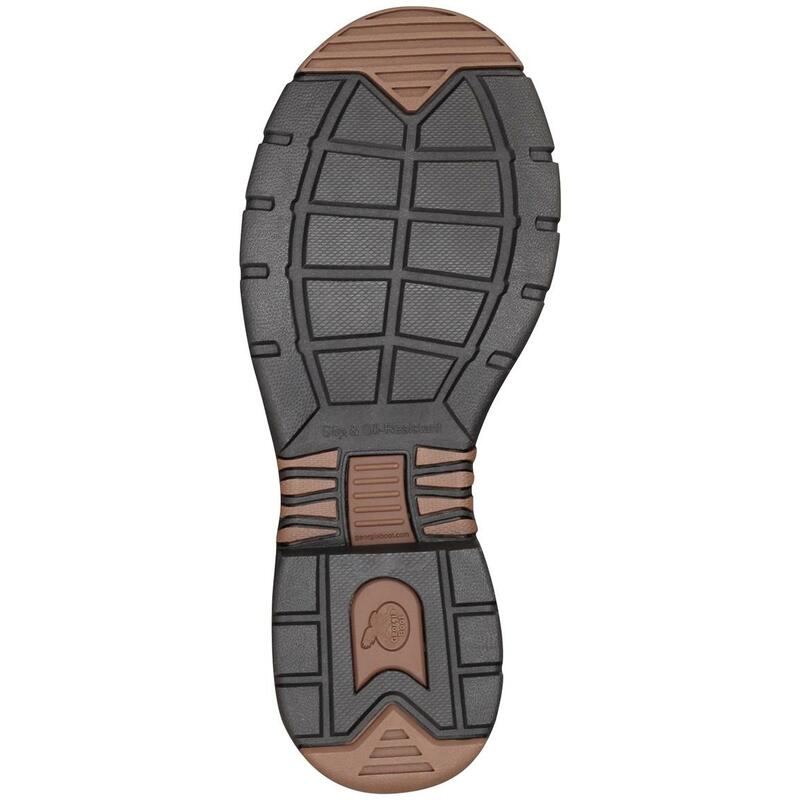 The AMP insole is an absolute revelation…every time you step into the Athens Steel Toe Work Boot, the insole adjusts to the exact shape of your feet. It's not just ergonomic, it's a made-to-order comfort experience. A hybrid stitch-out construction makes them flexible. 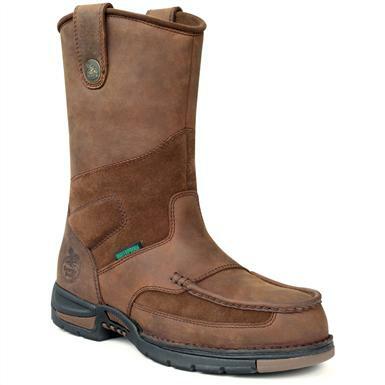 And with a safety toe and waterproof protection, you can keep on trucking through your work day. Georgia Mens Athens Waterproof Steel Toe Wellington Boots is rated 5.0 out of 5 by 2. Rated 5 out of 5 by abby from good quality at affordable price pleased with product and at how quickly the manufacture shipped these nice boots. Thank you very much Sportsmans guide staff. Georgia Boots and the shipper who delivered them. Hope the welder doesn't burn any of the threads that hold the nice wide toe on the boot. Rated 5 out of 5 by ELVIC from Comfortable & durable Rated highest on my boot buying history. Got 2 yrs out of a pair. I'm sticking with these for the rest of my working days!